Tyler Barriss, 25, was arrested in connection with a fake 911 call to Wichita, Kan. where police shot and killed a man after they were called to his residence allegedly by Barriss. (CNN) - The 911 call was fake, authorities said, but the bullet was very real. 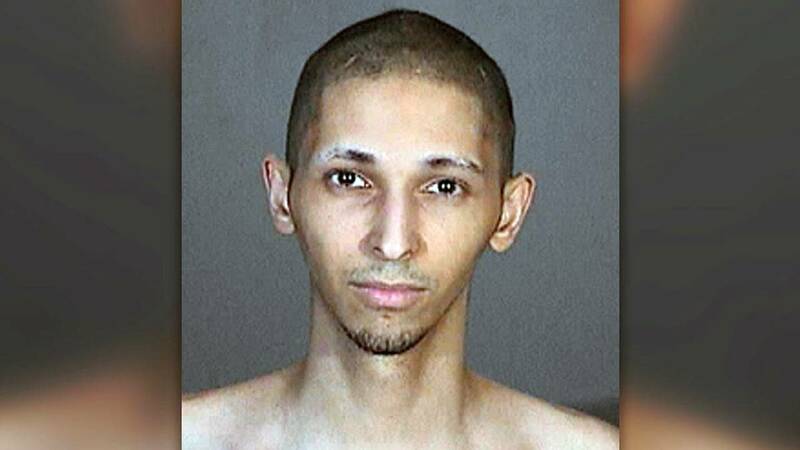 The fatal swatting case started Thursday when a man called the 911 center in Wichita, Kansas, and said he'd shot his father and was holding his mother, sister and brother hostage inside a house, authorities said. Police didn't know the call was a hoax, having originated 1,400 miles away in the Los Angeles area. They went to the house in Wichita at an address they were given, and that's where Andrew Thomas Finch was shot to death. Police said an officer shot Finch, who was not armed, after he moved his hands to his waistline. Authorities said he'd been convicted of phoning in multiple bomb threats to a Los Angeles television station in 2015. Sources have told CNN he was active in the gaming community. Efforts to determine whether Barriss has an attorney were not successful Saturday. No federal swatting laws exist, but a number of federal charges could be filed, such as obstruction of justice, attempted obstruction and wire fraud. Wire fraud, Callan said, is "a catchall statute for these new crimes that haven't been anticipated." "It might be a reckless homicide because when you do something like this to set up a raid by a SWAT team on an innocent family, you're putting people's lives in danger," he said. One problem in prosecuting swatting cases is that many are perpetrated by juveniles as a prank or joke, and it's difficult to prove they had an intent to cause harm. In 2013, a 12-year-old boy made swatting calls to actor Ashton Kutcher's home, as well as musician Justin Bieber's residence. Because the suspect was a juvenile, his punishment is not known. "I already poured gasoline all over the house, I might just set it on fire," the caller said. "OK, well we don't need to do that, OK?" the 911 operator said. "In a little bit I might," the caller said. Callan said those words created a highly dangerous situation. Even if the caller didn't intend to create a violent confrontation, he should have known that was a real possibility, he said. "I see no difference between doing that and dropping a brick off of the top of the a building into a crowded street," he said. The fact that the call was made from California shouldn't be a problem, Callan said. When parts of a crime occur in separate states, either or both states have the right to file charges, he said. "Our officers came here preparing for a hostage situation. Several got in position. A male came to the front door, and one of our officers discharged his weapon," Livingston said. Callan said he doesn't think the officer will be charged if the evidence shows Finch "went for his waistband in a way that looked like he was going for a gun." However, the killing shows the need for a new kind of training for police. "They have to be super careful that this is not a prank when they do a raid on a home," Callan said. A California state legislator who'd been swatted himself led a drive to make the anti-swatting law tougher. Though there's no federal anti-swatting law, people have been prosecuted on related charges. The US attorney's office in New Haven, Connecticut, said Tollis took part in swatting calls to the University of Connecticut, the Boston Convention and Exhibition Center, Boston University, two high schools in New Jersey and a high school in Texas. He pleaded guilty to conspiring to engage in the malicious conveying of false information, namely a bomb threat hoax. In July 2014, Jason Allen Neff of Omaha, Nebraska, was sentenced to five years in prison after pleading guilty to swatting-related charges, the US attorney's office in Dallas reported.